It’s been another tough week where I haven’t got much done because of Baby Boy. My instinct tells me I just need to hold him while he needs me, these days are short and I’ll miss it when he doesn’t need me any more, but there is a voice inside which says “other people’s babies don’t need to be held all the time, maybe this is my fault, maybe if I put him down and leave him to cry he’ll toughen up". I’ve read studies on Cry It Out, I’ve read studies on how responding quickly to your baby’s needs results in more confident, secure children. But I still feel it must be my fault. Baby Boy is now 3 months old which means he is no longer a newborn and he should be out of the fourth trimester where he just wants to be held by me. I don’t think the attachment is going to change just yet, particularly given how clingy he has been over the last week. It is sad though to think my days of having a newborn baby are behind me. Baby Boy at 3 months loves to be on his tummy and he can push his head up a long way. He has just started to grab at things, loves having his nappy changed, mummy milk and being cuddled. He still wants to sleep for much of the day and he gets pretty grumpy that he keeps getting woken up (mostly by Little). When he wants to be awake he is starting to show interest in his sisters rather than just seeing attention from Little as a nuisance. He has cooey chats and he has rolled over from front to back a few times. Baby Boy continues to be good at night, while he wakes up for feeds (after anything from a 2 to 7 hour gap) he does want to sleep at night. On Monday evening I noticed a crust of wax across the outside of Baby Boy’s ear. I removed it and behind it was lots of pale yellow mucus. I took him to the doctors on Tuesday and she said his ear drum was fine and he just had a lot of wax probably from having a cold. I went away reassured. The ear continued to leak throughout the week with the ear lobe looking increasingly sore despite cleaning it gently. I booked another appointment for this Monday and a different GP said it was an infection (not wax), took a swab and gave us antibiotics. The information the 2 doctors gave conflicted in several ways and I’m not keen on giving a 3 month old antibiotics, but I don’t think it is just ear wax so I’ll see if the antibiotics improve it. 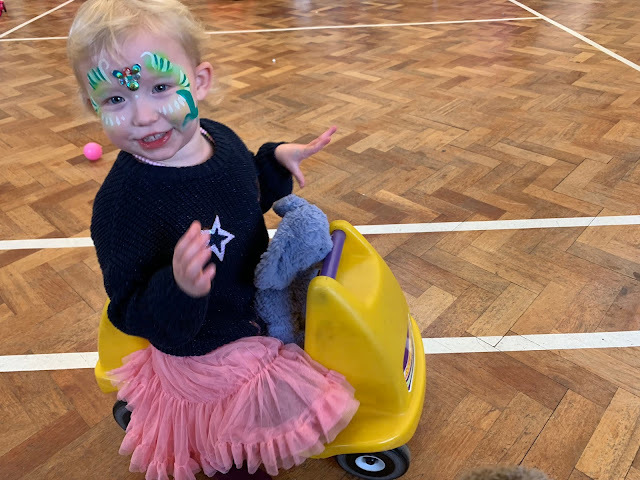 This week saw Little’s last playgroup. We went to the baby group from a few months old and she has been going to the toddler group since she turned 1 (she’s now 3) so it was sad for me that she won’t be going back. 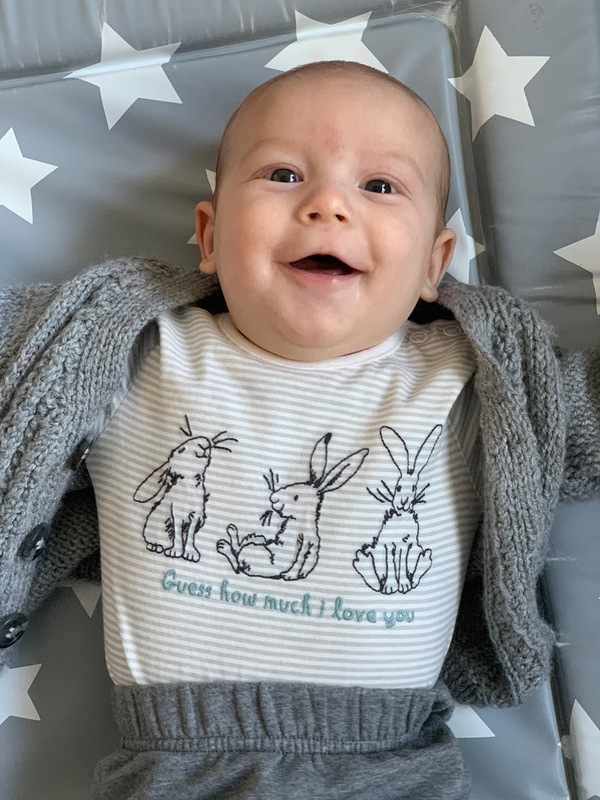 I’m planning to start taking Baby Boy to the baby group and the hopefully I should go to the toddler group again in January, but many of the people I know will have left by then. Little was presented with a book of children’s Bible stories because the group is run by a church and she got an Easter egg too which we will give to her sister or Dad because she doesn’t eat dairy. The group is so kind and it's lovely that they make the effort with these special touches. 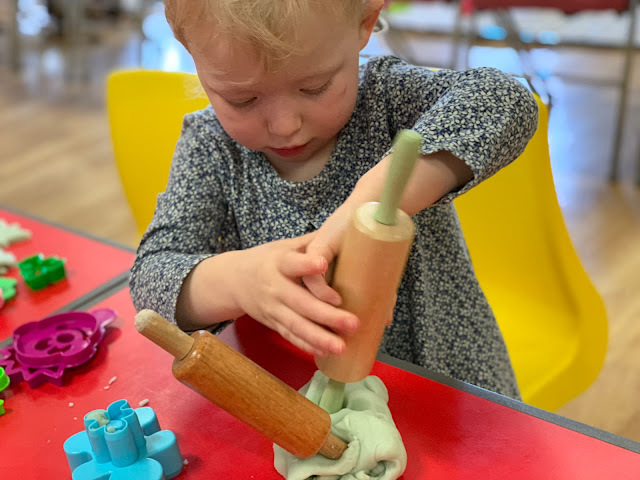 The reason for stopping playgroup is Little will be going to nursery 5 mornings a week after Easter when her 15 free hours starts. This will give me a chance to spend more time doing activities with Baby Boy. Of course I will want to be working, but it should be good for us both to socialise so I'm going to try and force myself out. Little had a busy end of the week including starting dance classes on Friday. From just a few months old she has shown a love for music and dance so these lessons are perfect for her. Sadly parents don’t stay for the class and there are no windows so I couldn’t watch how cute she was being but she said she enjoyed herself. On Saturday Little had not one, but two birthday parties back to back. It was the first time she has been invited to a party by one of her nursery friends. She was quite shy at both parties, carrying her elephant around for comfort, but she enjoyed herself too. I picked M up from school on Friday and we were quite relaxed because it was the Easter holidays. The girls both went to play in next doors garden (their favourite place to play at the moment, helped by having children similar ages and a large trampoline). Little burst into tears several times, probably due to tiredness, and on the 3rd occasion M decided they should come back home. Shortly after they came in M started complaining she was achy and she didn’t feel well. She got progressively worse and spent all of Saturday either in bed or on the sofa. She is rarely ill enough for bedrest so we knew she was feeling really bad. 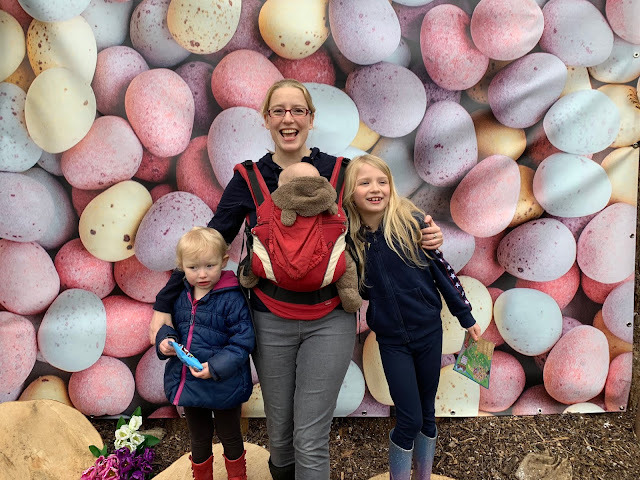 By Sunday morning she was improved though and with the aid of Calpol and Nurofen we managed to have a day out at Marsh Farm to review their Easter Grotto and Easter activities. It was a busy week of work and I have started pulling together a couple of big posts including source products to include in my Father’s Day gift guide. 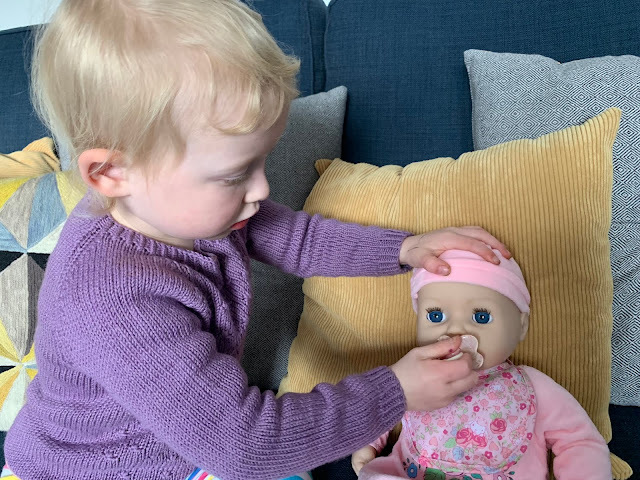 I also published a review and giveaway for 5 second rule Jr, shared a photo I took for Pampers Pure nappies on Instagram and we have started to review some Baby Annabell dolls. The biggest challenge work wise last week was having to find time to change my blog template, my previous theme was from Pipdig and it was discovered that there was suspicious code in their templates which shouldn't be there. The person behind Pipdig has defended himself, but many web developers who understand these things much better than me don't agree with his defence so it seemed safest to remove the template and get another one. This took time to find one I liked and to personalise it all, but I think I am happy with how it all looks now. 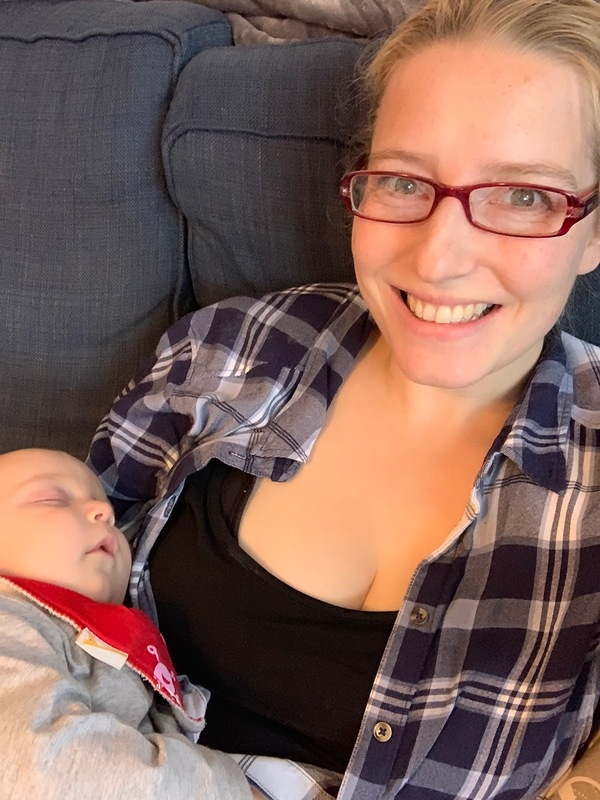 It is a challenge trying to keep on top of work at the moment because Baby Boy has been so clingy this week, but I’m hoping I can catch up this week. M is at her Dad’s for the first half of the Easter holidays and I’m planning a quiet few days at home.